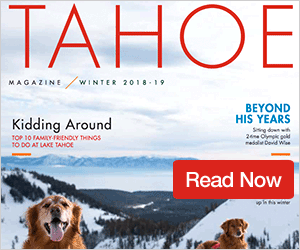 After last weekend’s storm dropped 4-18 inches on the Truckee-Tahoe area and with temperatures consistently dropping below the 32 degrees required for snowmaking, Northstar California Resort has announced Friday, Dec. 1 as the opening of its 2017-18 season. 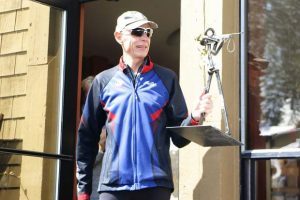 The resort made the announcement late Monday afternoon, which marks Northstar’s third attempt at scheduling a date for the upcoming ski season. This season skiers and snowboarders will have the chance to begin the day at sunrise, devoid of all the usual crowds, with the resort’s new First Tracks program, where Adventure Guiding and Learning Center mountain guides take two intimate groups on a tour of the mountain before lifts open to the public. First Tracks will allow for private access to freshly groomed runs, according to a statement from the resort, and untouched powder across the entire mountain. As part of the program, guests will be treated to espresso and custom equipment fitting, prior to meeting a handpicked mountain guide for tours of the most serene locations on the mountain. After a full day of skiing guests return to The Village at Northstar for a champagne toast. Another way for skiers and snowboarders to access untouched snow is through the resort’s Platinum program with the new Platinum Terrain areas. Skiers and snowboarders with a Platinum Season or Day Pass receive access to an exclusive run, while also gaining use of private gates at the front of each lift to skip the normal lift lines. 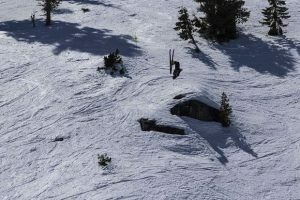 Northstar had most recently planned on opening for the 2017-18 season on Thanksgiving Day, but conditions weren’t suitable enough to begin spinning lifts, according to a statement from the resort, which forced the mountain to push the date back. However, The Village at Northstar kept Thanksgiving festivities going over the weekend with shop, store, and dining openings; along with pub crawls and the opening of the ice skating rink. Northstar opened Nov. 23 last year and closed on April 24. 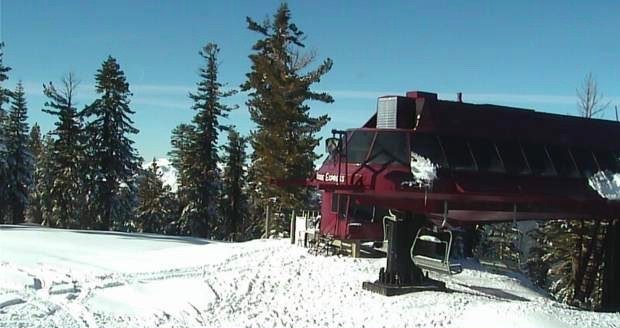 With this week’s temperature highs reaching 50 degrees and lows in the teens, according to the National Weather Service Office in Reno, Northstar expects to have enough of a window to run its snowmaking equipment to make the Friday opener a reality. As of Tuesday, Nov. 28, the resort is currently working on plans for lifts operations on opening day, according to Communications Specialist Stephanie Myers, and which trails will be open for the season’s first turns. Following the resort’s planned opening for the 2017-18 season on Friday, Dec. 1, The Village at Northstar will kickoff the holiday season with a 7 p.m. lighting ceremony of a 26-foot Christmas tree. Festivities run from 5 p.m. to 8 p.m. and include a children’s ornament making workshop at The Village Candler. Guests who bring two cans of food to donate to the Truckee Community Christmas organization will receive $5 off ice skating rentals.